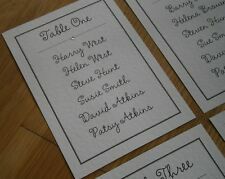 Ivory Wedding place name cards. Packs of 10. Flower decoration. 2 choices.Value! Material: Paper. Color: As Picture Shows. (Role - Bridesmaid, Maid of Honour, Flower Girl, Chief Bridesmaid, Witness, Junior Bridesmaid, Matron of Honour etc. - Colour of the text (use the chart). Add To Favorites. Paper: 1) White glossy photo paper 260 gsm (Matte back) - sent by default. 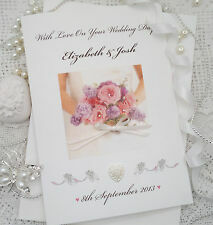 $With Hundreds of Boring Wedding Cards on the Market right now how can you be different?. 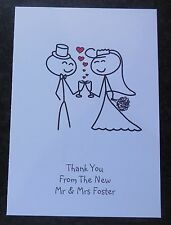 You can send your Relations or Friends a Special PERSONALISED Wedding Card This card is ideal for the anyone very special to you. 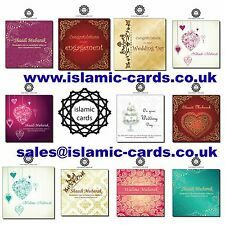 Imagine their face and the joy they will have when they open this card Personalised for your Relations, Friends exactly as you want. Are you fed up with not being able to find the right verse ? I remember spending a whole morning walking in the rain from card shop to card shop and coming home without a card, all because I could not find the correct verse. Well we have the perfect card for you and your Relations, Friends. It will be perfect because we will use your words. 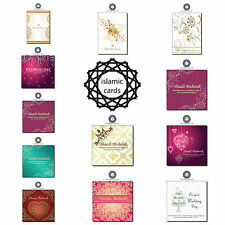 Send us your verse and we will print it in your chosen card. "Dragonfly Charm". 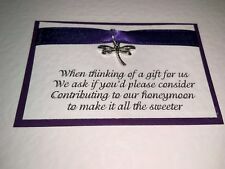 The picture shows the design with a silver dragonfly charm on a burgundy ribbon. Wedding Invitations. This design is a side fold card, which opens to reveal your details printed inside. (Paper: 1) White glossy photo paper 260 gsm (Matte back) - sent by default. 2) White matte paper 200 gsm. - Left or right card. (Paper: 1) White glossy photo paper 260 gsm (Matte back) - sent by default. - Colour of the text (use the chart). 2) White matte paper 200 gsm. 3) Ivory/Cream paper 210 gsm. THE PRICE IS FOR 10 CARDS. Football Size (L x W x H): Approx. - Material: Resin and stainless steel. - Color: Date red. Good quality! Excellent Service! Easy to install with the prepared incision. Special design can catch people's eyes. Wedding Day Greetings Card - Brown Bears, Red Rose, Music Notes & Hearts 9" x 6"
HUSBAND & WIFE CONGRATULATIONS CARD. "LOOK WHO'S HUSBAND & WIFE !". By HALLMARK. FOREVER FRIENDS. … BE THE START OF A BEAUTIFUL LIFE TOGETHER ! FRONT READS. 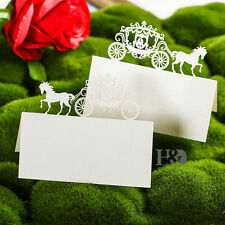 30 X Ivory Laser Cut Wedding Invitation Cards* Best Price!!! Inside sits an invitation insert printed onto the luxury pearlescent card but also stand apart from its laser cut sleeve. Laser cards:185mm x 128mm. 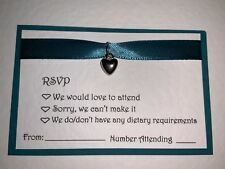 Perfect Wedding Invitations. 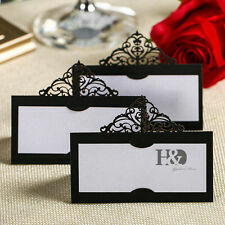 These cards are perfect for your special wedding! Wedding Day Greetings Card - Wedding Cake, Champagne & Pink Roses 7.75" x 5.25"
Wedding Day Greetings Card - Couple, Chandelier & Grey Butterflies 7.75" x 5.25"
On the front the card reads. 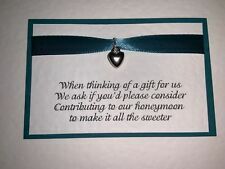 WEDDING VOWS RENEWAL CARD. RENEW YOUR VOWS. 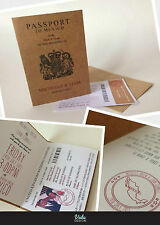 Material: 300gsm premium white linen card (beautiful texture). 'he's her lobster'. Wedding Day Greetings Card - Champagne, Glasses & Pink Butterflies 7.75" x 5.25"
A stylish wedding invite printed onto brown craft card with a shabby chic look. I am happy to work with you if you have any ideas you would like to explore. • Page 1: A poem/quote or what ever you would like to say. Wedding Invitations. 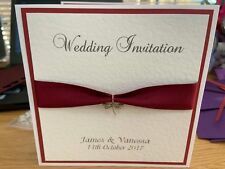 The picture shows the design with sparkly silver glitter card and either burgundy or pink ribbon in a double bow with a beautiful diamante button with pearl centre. "The Sparkly Collection". Fully personalised with any details you require. As a personalised item, it is important that you check the spelling and photo quality before approval of your proof. All text can be changed on the design to suit your occasion. Bride & Groom Wedding Day Card Luxury Large Handmade Card 8" x 8"
BRIDE & GROOM. SIZE: 8" x 8" Approx. NEW with ENVELOPE. Creative design features flexible wires radiating out from a sturdy base. - Personalize your desk with notes and papers. - Flexible 3 wires extend from the center of the square base. - Base Size (L x W x T): Approx. Cube Size (L x W x T): Approx. - Star shape wire clip. - Color: Silver grey.